ROCKVILLE, Md., 2018-Jul-11 — /Travel PR News/ — The Riverside Inn & Suites is the latest hotel to join the Ascend Hotel Collection, a portfolio of best-in-class unique, boutique, and historic independent hotels and resorts by Choice Hotels International. The hotel is located on Riverside Boulevard and overlooks Rock River, and has been a staple in the Rockford, Ill., community for more than 20 years. Following a multimillion-dollar renovation, the hotel is known as the “Jewel of Rockford” and now features amenities and accommodations to satisfy every guest’s needs, including an updated indoor pool, and traditional guest rooms and townhouse suites for large families or groups. The boutique hotel is located near popular attractions, such as Discovery Center Children’s Museum, Coronado Performing Arts Center, and Magic Waters Waterpark. The Riverside Inn & Suites hotel participates in the award-winning Choice Privileges loyalty rewards program, rated no. 1 in USA Today’s 10Best Readers’ Choice Awards list for two consecutive years. Choice Privileges membership is free and offers fast rewards, instant perks, and exclusive member rates for those who book directly at www.choicehotels.com. Members can earn and redeem points towards free nights, airline miles and more while staying at any of Choice’s 11 global brand participating hotels. The Ascend Hotel Collection® is a global portfolio of unique, boutique, and historic independent hotels and resorts and is part of Choice Hotels International, one of the world’s largest leading hotel companies. Recognized as the hotel industry’s first “soft brand” concept, the Ascend Hotel Collection has more than 200 properties open and operating worldwide, including in France, the United Kingdom, Denmark, Finland, Ireland, Norway, Sweden, Turkey, Australia, Canada, Ecuador, and the Caribbean region. Membership with the Ascend Hotel Collection enables distinctive, independent properties to gain a global presence while maintaining their local charm. 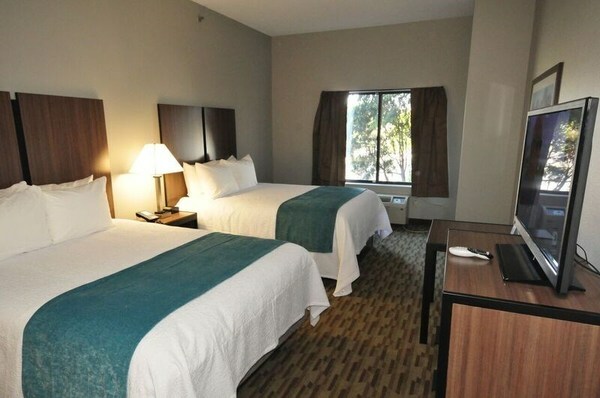 For more information, visit www.choicehotels.com/Ascend. This entry was posted in Hotels, Resorts, Travel, Travelers and tagged Ascend Hotel Collection, boutique, historic, hotels, independent, resorts, Riverside Inn & Suites. Bookmark the permalink.